Synopsis: When a medical engineer and an astronaut are working together on a mission in space, disaster strikes as a space shuttle is destroyed in orbit and the two of them are left adrift in space. In order to survive, the two must work together to ensure they both return safely to earth. Review: Out of this world brilliance. This film is 91 electrifying minutes of cinema that you are unlikely to forget in a hurry. The film begins in a light hearted fashion as Ryan Stone, (Sandra Bullock) so named because her father wanted a boy and Matt Kowalski (George Clooney) along with a team of astronauts are working on the Hubble telescope. The opening captions of the film remind the viewer how deadly space can be as there is no oxygen, no air pressure and nothing to carry sound. The final caption on the screen reads “Life in space is impossible.” Thus, providing the viewer with a chilling message for what is to come. The crew are initially a jovial team of astronauts as they work on the telescope. Kowalski in particular floats around without a care in the world. Yet for Dr Stone, she is not as cheerful as the death of her four year old daughter due to an unfortunate accident has taken its toll on her. However disaster strikes when a load of debris flies towards them at frightening speed, the consequences are lethal and Sandra Bullock finds herself 375 miles from home and it’s a long way back. Right throughout the film, you find yourself on edge as you root for her to find her way back home. You can see the death of her daughter has made her a determined woman to get through this horrific ordeal. Bullock gives an incredible performance and it should land her nominations for Best Actress next year. Likewise Clooney is also on great form here and award nominations could definitely come his way next year as well. The Computer Generated Imagery on show here is simply fantastic. It makes you feel like you are actually in outer space. Seeing the film in 3D definitely enhances the brilliant effects that you see and it definitely makes the film a lot more enjoyable, which is something that 3D has not always done since it made its return to popularity when 2009’s Avatar came along. While awards season is still a few months away, I am predicting that Gravity will scoop awards for its special effects, they are spectacular. The score that was composed by for the film by Steven Price is also wonderful and it without a doubt adds to the drama and suspense of the film. After seeing this film I certainly have no plans to ever go into outer space. 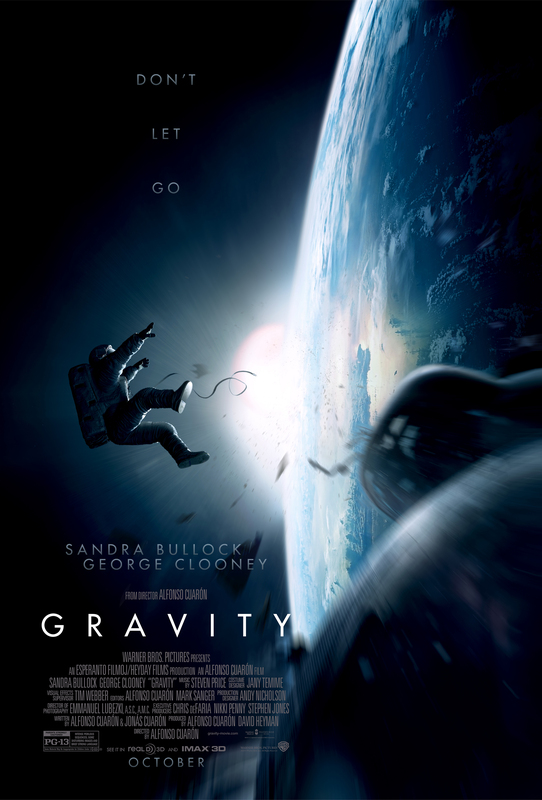 However, take nothing away from Gravity, as it was 91 minutes of complete perfection. It had terrific acting, enthralling drama, breath taking CGI and was accompanied by an outstanding score. Bullock gives one of the best performances of her career and the film has every potential to be a big success in next year’s awards season. This is a must see and is one of the best films of the year. Visually incredible, with Bullock on the top of her game, and masterfully directed by Cuaron, one of 2013’s best films without a doubt. Pingback: Gravity Was Pretty Good For A Sci-Fi Flick | Just Spit It Out Already!